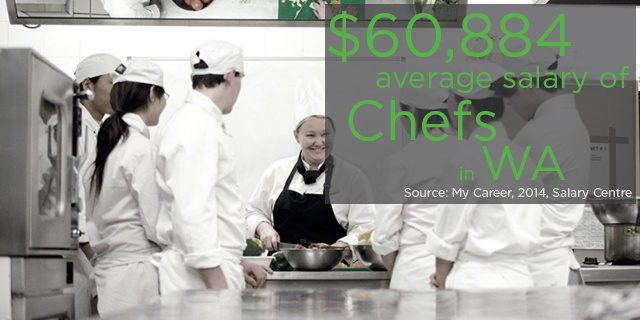 Qualifying as a Pastry Chef is new and innovative in Western Australia. This new trade qualification was approved by the Department of Training and Workplace Development in March 2010. This certificate provides you with the Chef Patissier qualification including a practical industry placement, students are also required to complete a minimum of 250 hours of industry work placement. 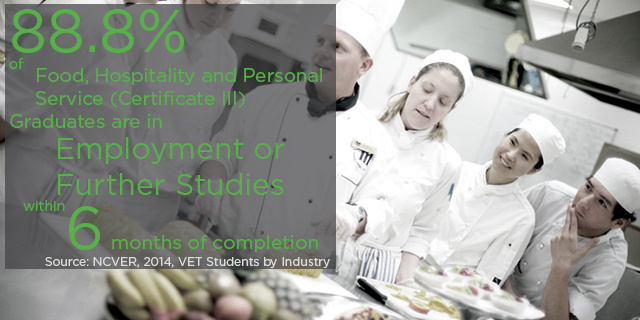 The Certificate III in Patisserie is equivalent to the off-the-job training of the Chef Patissier apprenticeship. The course includes industry internships providing you the necessary on-the-job experience in a pastry kitchen. The process of qualifying with trade equivalence may take up to 3 years, however students are employed throughout this time in the industry gaining substantial and relevant experience. The placements are organised by ASCA. In order to successfully complete the course applicants must complete all of the subjects / units listed above. The course is not suitable for persons unable to handle meat, seafood, poultry or dairy products. Please be aware that the uniform requirements for the kitchen are compulsory and no concessions can be made. It is important to note that ACAE adopts a number of assessments items or tools that are designed to best suit your course and the knowledge and skills that is required to be demonstrated by each participant. All assessments are identified clearly in our subject guides which are provided to students upon enrolment. The subject guide provides a great amount of detail on the timing and style of assessment. It is important to note that participants need to demonstrate competency through each of the prescribed assessment items throughout your time enrolled in the course. In general the following assessment items apply for this course. All students are required to have completed the equivalent of Australian School Year 11. More information is available at Admission Requirements for Local Students and Admission Requirements for International Students.